If you’re a fan of Blinkist, the app that lets you read important insights from popular books, you might have wondered if there’s a similar app for news or Wikipedia articles. In this blog, we take a look at APIs for text summarization that you could use to power such an app. We used the The_Dark_Knight_(film) Wikipedia article, or the text from it, with some formatting, as the test input and evaluated the APIs on functionality, efficacy, and pricing. TL;DR: Aylien – Text Analysis, MeaningCloud – Summarization, ML Analyzer, Recognant Summarization Index, Summarize Text and Text Summary will give your app’s users the gist of any article in a fraction of the time it takes to read the original. AYLIEN Text API allows developers to extract meaning and insights from documents with ease. Specifically, its Summarization endpoint returns a few key sentences, given an article as input. The text summary returned is highly relevant even in the short mode as it indicates that the films is the second part of The Dark Knight Trilogy, lists key cast members, and provides plot highlights. MeaningCloud Summarization is language independent and extracts a summary for a given document by selecting the most relevant sentences in it. 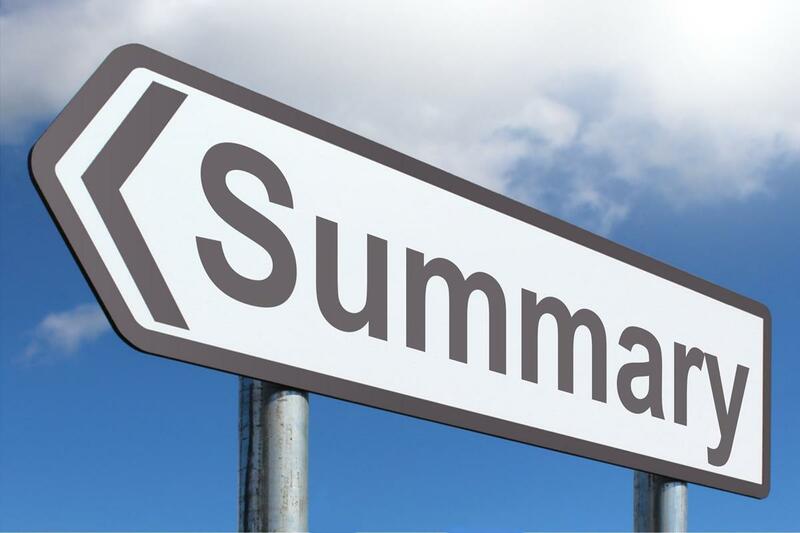 Summarization allows input to be provided in the form of a url, a document, or text. You can specify the number of sentences the summary should have. Here we passed the url of the Wikipedia article and requested for a 5-sentence summary. The five line summary clearly indicates that the movie is a sequel to Batman Begins, specifies cast members, and outlines the story. The MeaningCloud Summarization API is free for 40,000 requests per month and costs $ 0.003 for each additional request. ML Analyzer is an natural language processing (NLP) and classifications API that provides a host of text analysis tools. We tested its Article Summarizer endpoint. The ML Analyzer API requires the content of the article to passed as a parameter. It allows you to specify the number of sentences that the article should be summarized into. The summary response returned shows that the article is about The Dark Knight, a 2008 superhero film. It indicates the cast of the movie and has a plot outline. The ML Analyzer API is free for up to 100,000 requests per month and costs $ 0.0001 for each additional request. Recognant – Summarization Index API returns a summary, the parts of speech for each sentence, the extracted HTML, and the content make up of a webpage. Specifically, the EnEIYou Summarization Index summarizes content from HTML by extracting the content from the page and then scoring each sentence. The endpoint requires the url of the article. You can optionally specify the length of the summary in number of characters or as a fraction of the original. To save bandwidth, you can configure it to return the summary only and not the html, text, and content scores. The response summary returned indicates the title of the article, including its source, and the summary focuses on the plot of the movie and the reviews that the movie received. Summarize Text API lets you choose your language and ratio to receive your text summary. The Summarizer endpoint is called with the POST method and requires a JSON payload indicating the language, relative size of the summary, and the actual text content. The text summary returned is focused on the performance of the movie in terms of reviews it received, the awards it won, and revenue grossed. Text Summary API is a content summarizing and highlighting API. The summary endpoint is called with the POST method and requires a JSON payload consisting of the text content or a url. For this test, we submitted text in the JSON payload. The summary describes what the article is about and the performance of the movie including reviews and awards. A hero can be anyone but those who use APIs become heroes faster. Take advantage of the free plans offered by these text summarization APIs to find the best fit for your application. Summarization Index Recognant Requires link of article Free for 3 calls/day. Summarize Text cotomax Requires JSON payload First 100 calls/day are Free. Text Summary iamcalm.online Requires JSON payload First 5 calls/day are free.